"The Original Grill Your Own"
There’s an old saying - “You just can’t beat a good steak.” At Rube’s, we’d definitely agree, although we'd add that you can't beat a good FRESH steak. We start with the best cuts of corn-fed, locally raised meat, age it to perfection, and never compromise flavor or quality. That alone is reason to buy. But what really sets us apart is that Rube’s steaks are shipped FRESH – never frozen. 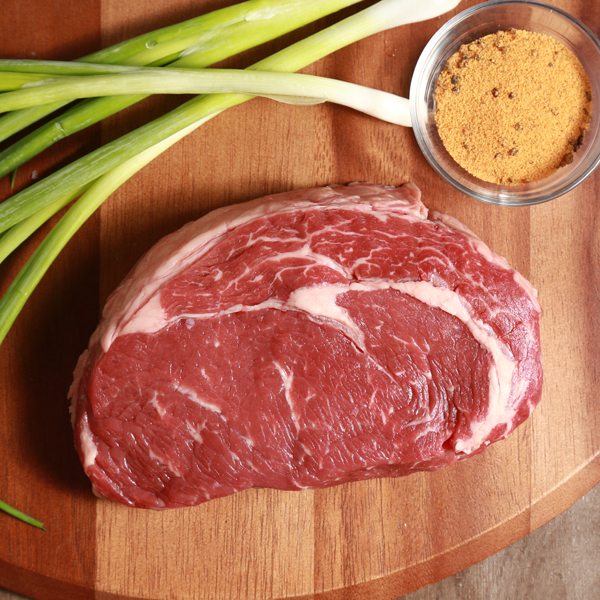 Once you place your order, your steaks are hand-selected and placed in our special insulated cooler with cooling packs. It’s immediately sealed and shipped UPS to your door in two days or less. That’s how we’ve done business for more than 37 years, and the reason why what started as a small town tavern has turned into a nationally-recognized Steakhouse and nationwide provider of premium, FRESH steaks. It all started in 1973 when Glen Rubenbauer – better known as “Rube” – opened up a tavern in the small, Midwest town of Montour, Iowa. His philosophy was to provide a hand-cut, quality USDA inspected, premium steak at a great price – and allow customers the experience of grilling it themselves. The original “grill your own” steakhouse, word of Rube’s quickly spread and people couldn’t get enough. Soon, customers wanted to buy Rube’s steaks to grill at home and give as gifts to friends and family. As demand grew, a plan to broaden the availability of Rube’s steaks was developed, and in 1992, Rube's Meat Company was born. With a continued commitment to flavor, Rube’s knew the only way to maintain their reputation of delicious steaks was to make sure customers received them fresh and never frozen. So on that philosophy, Rube’s Meat Company began shipping hand-cut premium steaks FRESH and ready for grills across the entire continental U.S. In 1993, Rube retired and Gary, Jeff, and Matt Anderson bought Rube’s Steakhouse and Meat Company. In 1999, they opened a second Rube’s Steakhouse in Waukee, Iowa. Today, the “little Midwestern tavern that could” has garnered a nationwide following and accolades from critics everywhere. And, the best part is, with one click of the mouse, anyone can now get a FRESH taste of the steak that made Rube’s famous!